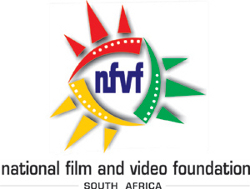 The goal of the NFVF is to stimulate Training & Development by making it more accessible for previously disadvantaged individuals and those with financial difficulties to enter the Film & Television industry. This we achieve by awarding media bursaries to students to study at the various tertiary institutions in South Africa. It is very costly to study Film & Television world wide and our bursaries are aimed at assisting students to mitigate those costs. It is for these reasons that annually we award on average 60 bursaries to students who want to study Film & Television in the various accredited institutions around the country and abroad with the aim of obtaining a formal qualification. These bursaries are aimed at students who are hard workers, have a passion for the industry but lack the financial resources to meet their ambition. Demonstrate financial need – by submitting parent’s payslips, etc. Submit a one page motivation letter which demonstrates students’ passion for the industry as well as ambition. It must also include all the required information as per application form. Once you have applied and submitted all the required documents as per the application form before the deadline - which is 31 August annually, we have an internal & external panel who are part of the evaluation process. Applicants are shortlisted and interviews are thereafter conducted to ensure that we obtain the right students who will ultimately become the Foundation’s “Ambassadors.” Subsequent to the interviews, the NFVF Council makes final approvals. We therefore pride ourselves on our transparent and meticulous evaluation & assessment process. Students need to make sure that their details are correct on the application form. If telephone numbers or addresses change, notify us immediately because if we are unable to locate you your bursary will be awarded to another deserving student. Ensure that all the required information is submitted to avoid the disqualification of your application. Lastly, we do not offer 100% bursaries, first year students receive 100% towards tuition fee only, thereafter we pay 80% towards tuition fee only. The rationale behind this is the result of minimal resources at our disposal as we endeavor to find a balance between the number of students we support & how much we contribute towards those bursaries. The NFVF is a National Body and we therefore encourage students country-wide to Apply for Bursaries.